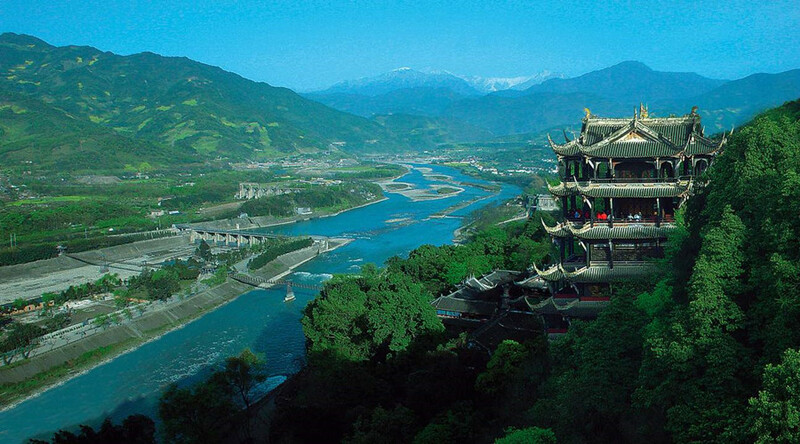 The Chinese often refer to Sichuan as the Heavenly Kingdom ( Tian Fu Zhi Guo), a reference to the province’s abundance in natural resources and cultural heritage. It boasts a lot of mountains, rivers and historic relics. UNESCO inscribed Jiuzhaigou, HuangLong scenic area, Leshan Giant Buddha with Mount Emei, and Mount Qingcheng-Dujiangyan Irrigation Project on the World Heritage List in 1992, 1996 and 2000 respectively. This 9 Days Sichuan World Heritages Tour will bring the highlights of these heritages in front of you and also give you a leisure time as the locals do in the province. 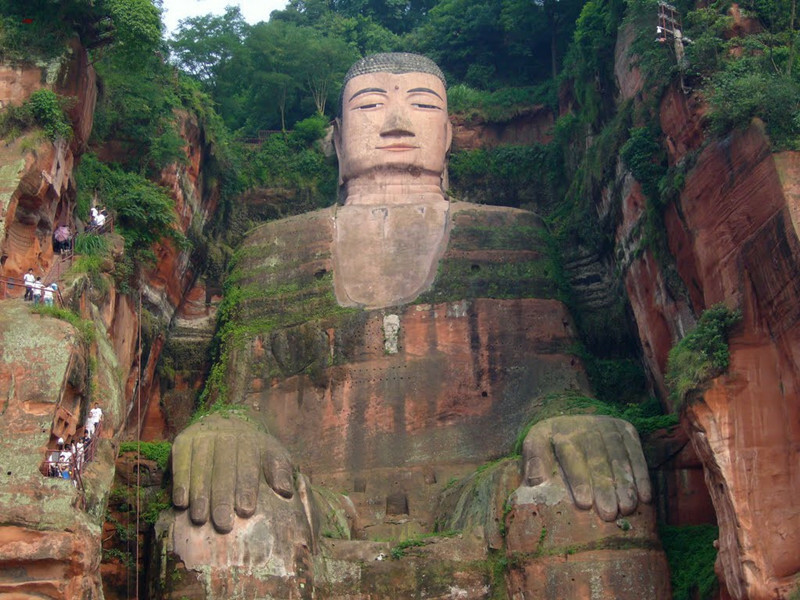 Pay pilgrimage to the Leshan Giant Buddha and Mount Emei. Chengdu airport pick up and transfer to your hotel. Have a good rest on the first day. 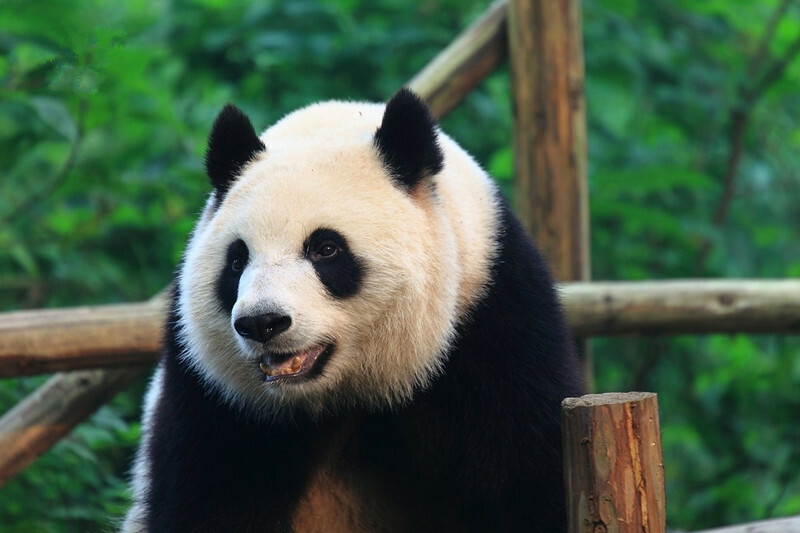 Our guide will pick you up at your hotel around 7:30 am and drive you to visit Chengdu Panda Base, which is one of the most successful of these institutes. You will catch pandas’ feeding time, when they are most active. Then you can go to watch the film at Panda Museum to know the panda’s daily life, Baby birth, ect. Have a taste of local Sichuan snacks for lunch . Afternoon drive to visit Wuhou temple, which is built in memory of a Shu kingdom’s premier during Three Kingdom period. Then have a walk at old Jinli street next by. Late afternoon, drive to visit Wenshu Temple, which was built during the Tang Dynasty. It is the largest and best-preserved Buddhist temple in Chengdu. Have the wonderful taste of the vegetarian food at the Temple for dinner. In the evening enjoy the cultural show – Sichuan Opera at tea house, which lasts for 1.5 hours. Morning around 08:00, tour guide will pick you up from your hotel to Dujingyan Irrigation System, sightseeing at Yuzui, Feishayan and Baopingkou to know how the ancient people do the project and how it can be used. After lunch drive to visit Mt. Qingcheng, take a cable car up to visit the cultural relics and historic sites among the mountains, such as Jianfu Palace, Shangqing Palace, and the Tianshi Cave. If time allows, try to walk down on foot. Late afternoon, drive back to your hotel and have a good rest. Morning, dropping you off at Chengdu airport to take the flight to Jiuzhaigou airport. It’s a 40-minute flight. Our local guide will meet you at the airport, and drive to Huanglong Park. Having about 3-4 hours of sightseeing there. Drive to Jiuzhaigou and stay there. 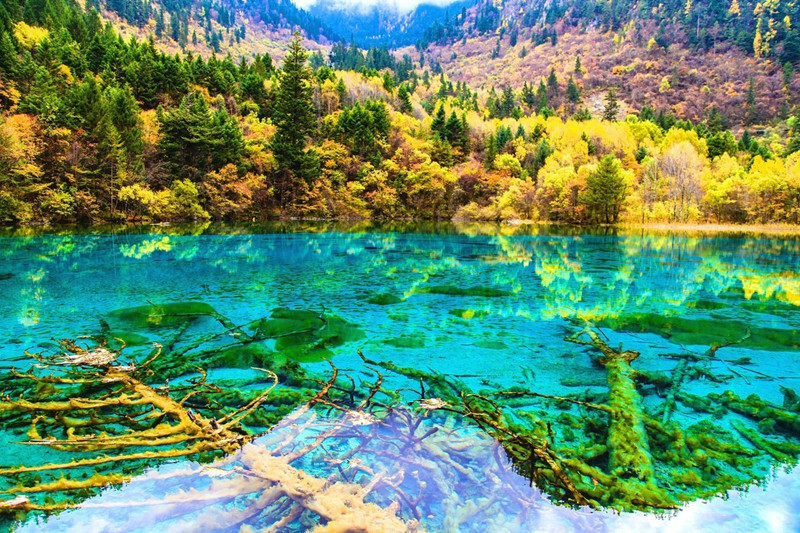 You will have one full day to spend at Jiuzhaigou National Park. With many lakes, waterfalls, and Tibetan villages to explore, you can take the inside sightseeing bus or if you want you can be on foot. In the evening you will have the chance to see a local Tibetan Culture show (extra charged). After breakfast, drive to Jiuzhaigou Airport and take the flight back to Chengdu. Our driver will pick you up from Chengdu and send you to your hotel to have a good rest. Explore this city by yourself in the afternoon. Morning around 07:30, tour guide will pick you up from hotel to Leshan Grand Buddha, which takes about 2 hours on the high way along the beautiful scenery of Sichuan West Plain. Visit the Grand Buddha by walking up to Lingyun mountain, have a very close to see the Buddha. You need to walk down by the zig narrow path to the foot of the Buddha, and you will find out a lot of stunning small buddha statues around the Giant one. Visit the temples on the top back of this Buddha, then we can take a boat to see the whole view of the Grand Buddha on the river. Drive to Emeishan. Check in and have a good rest. 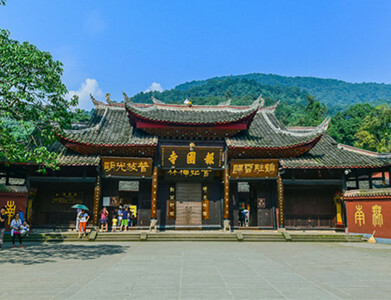 After breakfast, take the local sightseeing bus to Wannian Bus Park, then take a cable car or walk about 40 minutes to Wannian Temple, which is built in Tang Danasty and it is the biggest temple at Emei scenic area. 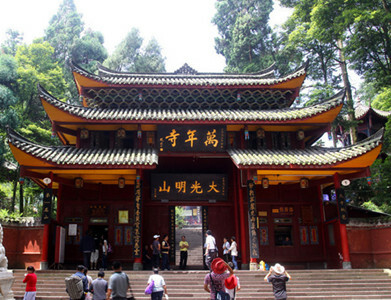 Then visit Qingying Pavilion, Niuxin Temple along the way to Monkey Area. Emei is very famous for monkeys, but please be careful of them. Have lunch at Wuxiangang, in the afternoon visit Baoguo Temple at the foot of Mt. Emei. Drive back to Chengdu for overnight. Chengdu airport drop off and tour ends.